Founded in 1987, Bodegas RODA celebrated its 30th anniversary last year in 2017,… and now remains firmly established as the most modern of the great Rioja classics! Whilst RODA celebrated its 30th anniversary it is by now established as one of the most exemplary wineries in the D.O.C. Rioja appellation. The winery’s embrace of Rioja’s traditional winegrowing model distinguished it from the start. RODA distanced itself from the trend that dominated the region in the 1980s, which pushed globalized and productivity-oriented winemaking criteria.Combining a clear commitment to innovation with a deep respect for the traditions of this historical region, RODA was the very first to revive the essence of Rioja’s winemaking identity from a contemporary perspective.These founding principles and the swift recognition garnered by the project made RODA a model of modernity, with other wineries soon adopting its criteria, thus contributing to a new interpretation of Rioja wine. Given RODA’s crucial role at a time when the region’s viticulture underwent significant changes, the winery is now considered a classic: the youngest of the great Riojas. 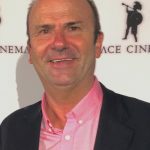 It all began in June 1987, when Mario Rotllant and Carmen Daurella, two entrepreneurs with experience in wine distribution, bought a winegrowing estate outside the Rioja town of Haro. They started the company Bodegas El Calado, later renamed Bodegas RODA, an acronym made up of the first syllables of each owner’s last name. The decision to set up the winery in Barrio de la Estación—Haro’s Station District and the epicenter of Rioja winemaking since 1877—was no coincidence. After all, the area is home to the appellation’s oldest and most iconic wineries, and the project is steeped in a strong identification with Rioja’s winemaking roots. However, the winery also introduced a new approach to champion the virtues of the region’s old vineyards through innovative winemaking techniques that always put quality first. During the early stages, RODA relied on the support of Félix Alonso, a local winegrower who brought his vineyards to the new project. From the very start, the winery invested significantly in all areas to ensure the best technical and professional resources to produce and position its wines. Its young team was another aspect that set RODA apart at the outset. During the early years, the owners ran the project themselves, but in 1998 they brought in Agustín Santolaya as general manager, thus transferring all management duties directly to the winery and creating separate areas of responsibility: Isidro Palacios as head of agricultural production, Carlos Diez as cellar master, and José Raventós as sales manager. Over the years, RODA’s staff has grown to include other outstanding professionals who have known how to keep the winery’s work ethic and team unity intact. Finishing the first phase of construction on the winery’s facilities in 1991—which would require two additional phases, the last one in 2000, to reach completion—undoubtedly contributed to RODA’s quality-oriented ambitions. The purchase of additional old vineyard parcels in 1992 made it possible to expand production while maintaining the quality criteria. – The grapes must come from old vines (over 30 years old), except for the production of the range’s newest addition, Sela, which is made from 15 to 30-year-old vines. The grapes harvested from vines under 15 years of age are sold on the market, no matter how exceptional their quality. 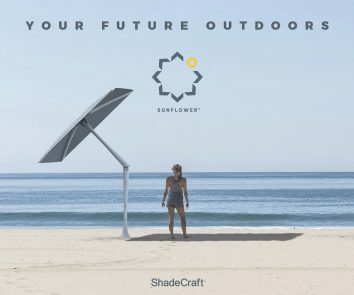 -Depending on climate conditions in any given year, the winegrowers use cover cropsin the vineyard, foregoing weed killers and limiting the use of chemically synthesized products. -The optimal moment to harvest is determined by vineyard visits, observations and sampling grapes on site. All of the grapes from the winery’s own vineyards and those from external suppliers are harvested in boxes. -Parcel-based vinification. Fermentation in French oak vats (as opposed to the stainless steel tanks popular during the 1980s and 1990s). -Spontaneous malolactic fermentation in oak. Implementation of innovative techniques across all areas: analyses, temperature control in wooden vats, use of suitable amounts of new oak, etc. At RODA, adhering to these production principles goes hand in hand with a clear commitment to research and development, especially as of 1998 when the winery launched its first RDI project: the creation of a Tempranillo Seed Bank, which has identified over 500 different morphotypes in Rioja’s old vineyards so far. Since then RODA has invested an average of 7% of its gross turnover in RDI every year. The company also has a permanent research and development department, which has carried out highly relevant projects in the fields of viticulture and enology. This includes Familia RODA 107, a family of Tempranillo morphotypes that has contributed to recovering the old genetic makeup of the vineyards. It gives winegrowers access to an alternative that is better suited to the production of top-quality reds than Tempranillo clones. By now the success of Familia RODA 107 has gone international, producing an annual average of 200,000 plantings in vineyards around the world. 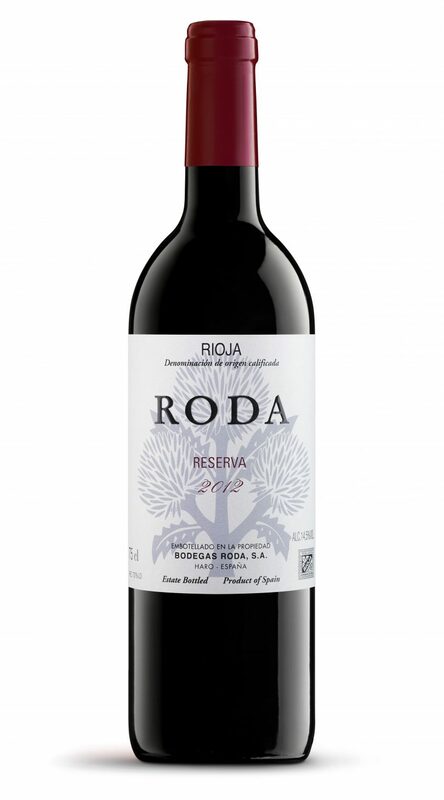 Furthermore, RODA II simply became known as RODA after the 2002 vintage. 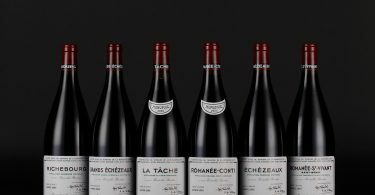 From a distribution perspective, it was decided that a high-end wine shouldn’t give the impression of being a “secondary brand.” Since then, the house’s flagship wines are RODA and RODA I. The idea behind both wines is to convey a precise vision of the landscape, the vintage and the influence of three climates (Atlantic, continental and Mediterranean). The wines are blends of different parcels—those whose organoleptic profile recalls red fruit provide the basis for RODA, whereas those with black fruit characteristics go on to become RODA I. Finally, the red wine SELA joined the RODA family in 2008. It is the range’s freshest and most cheerful member, made from vines that are 15 to 30 years old. The wine is clean and food friendly, but still preserves the elegance that characterizes its siblings. Production is limited to 80,000–90,000 bottles per year. In addition to the four Bodegas RODA wines, the company has also developed other projects in the wine and food sector over the past three decades in collaboration with its technical and sales teams. These include the production of extra virgin olive oil in exceptional Mediterranean enclaves (Ampurdán and Mallorca) from olive trees planted in 1996 and 1997. The initiative resulted in the launch of two brands, AUBOCASSA and DAURO, in 1998 and 1999 respectively. The former has consolidated its market position to become a point of reference among top-quality extra virgin olive oils in Spain. Furthermore, in 2009 the people behind RODA founded Bodegas LA HORRA, a winery in Ribera del Duero, which also focuses on top-quality wines and produces two brands, CORIMBO and CORIMBO I. Over the past three decades, RODA has carved out its market niche with a very clear pricing policy—positioning its wines above the region’s regular price range, with moderate subsequent increases and a price freeze during the economic crisis. The winery also followed a marketing strategy built on the transparency of an open and forthright company and its identification with the landscape of Rioja Alta. Thanks to these principles and the successful development of its business model, RODA has not only consolidated its position as a company, but also made significant contributions to the Rioja wine industry. It has brought value to the region’s traditional viticulture while implementing innovations in a constant search for excellence. Finally, RODA has also helped revitalize wine tourism in Haro’s Barrio de la Estación district by offering its own visitors program since 2003 and inaugurating a wine bar in 2010 that is open to the public. In addition, the winery hosts a series of photo exhibitions entitled Maridajes, organized in collaboration with the Foto Colectania Foundation since 2007 and showing photographs from its collection. 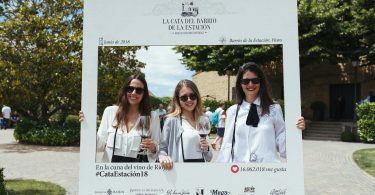 The initiative has brought 11,000 annual visitors to the winery, making it one of the main attractions for anyone interested in exploring the historical center of Rioja wine. In 1992, RODA produced the first vintage of its two initial brands, RODA I and RODA II, that were intended for sale. Production came to a total of 30,000 bottles, which were released in 1996. The winery’s production has grown since its highly anticipated debut, although it never exceeds 300,000 bottles per year (between RODA I and RODA II), the limit set at the start. By creating a sales network, which went into operation in 1995, and setting a 50% production quota for domestic distribution, with the other half earmarked for export, the winery has achieved its goal of gradual, but solid economic profitability: since 1998, the first year RODA saw a profit, it has not reported losses in any fiscal year. 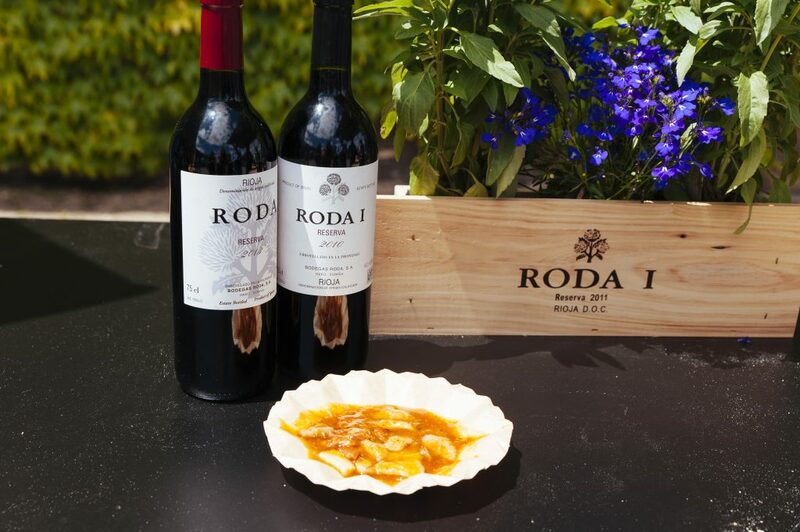 The RODA range has also grown since the first vintage (1992) went to market. The 1998 harvest produced the first vintage of CIRSION, the winery’s most exclusive and unique blend, made from vines selected for the high degree of tannin polymerization in their grapes. This influences the finesse, complexity and richness of the wine. The wine is only produced in vintages when climate conditions allow for this kind of maturation.